Emara MH, Mohamed SY, Abdel-Aziz HR. 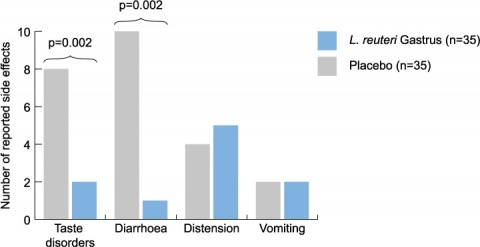 Lactobacillus reuteri in management of Helicobacter pylori infection in dyspeptic patients: a double-blind placebo-controlled randomized clinical trial. Therapeutic Advances in Gastroenterology 2013;7:4-13.